New England Alpacas is located in Killingworth, Connecticut, nestled in the beautiful Southern Connecticut River Valley area. 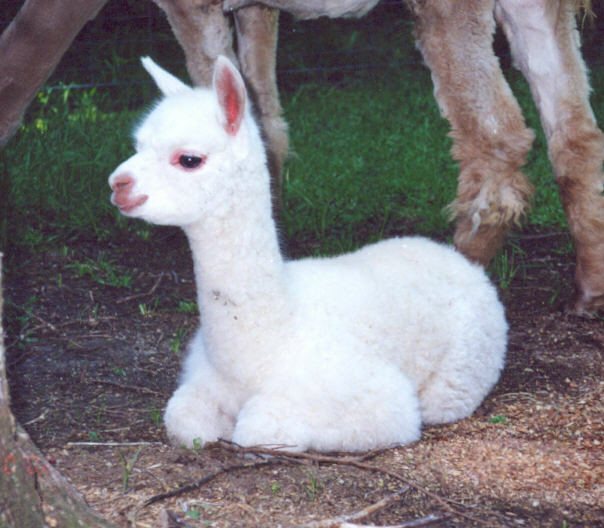 Raising alpacas since 1996, owners Lou and Melissa Ferrara along with their two children, Austin and Jesse, have proven that you can operate a small alpaca breeding business and be very successful. Our own herd consists of some of the finest quality full Peruvian and Peruvian/Bolivian huacaya crosses in the country. Dedicated to the success of other alpaca farms with lower numbers of alpacas, New England Alpacas has proudly formed an alpaca brokering cooperative with several other established, reputable, and honest breeders in the Northeast. The cooperative offers a wide range of Chilean, Bolivian, Peruvian, and American alpacas in a variety of colors from the nation's top bloodlines. These alpacas for sale are all ARI registered and come with extensive guarantees. Check out our current alpaca sales list and alpaca pictures that are listed on this website. We only use AOBA (Alpaca Owners and Breeders Association) sales contracts. Having researched the camelid industry since 1988, we are able to offer perspective alpaca investors our extensive experience while assisting them in finding the alpacas that meet the goals of their business plan. We will help you find the alpacas you are looking for, not just sell you what we have. We have a sincere interest in the success of our customers…their success is our success! But, since seeing and touching is the best part of this business, come by for a farm visit (by appointment) and see how you, too, can invest in alpacas and enjoy the rewarding lifestyle these wonderful woolies can provide. Too far to visit??? Just e-mail or call us at 860 663-3482 for more information! This page was last updated Wednesday, 28-Nov-2018 14:13:52 EST.